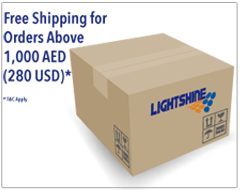 100% nitrile content offers superior resistance to cuts, snags, abrasions, and punctures. 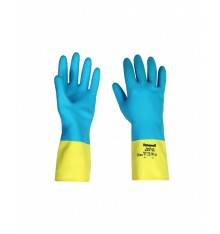 | Gloves are free of latex proteins which can cause allergic reactions. | Comply with USDA and FDA regulations, 21 CFR, for use in food processing. 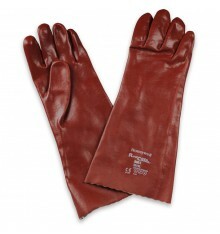 Gloves will not swell, sag or weaken from fat absorption. 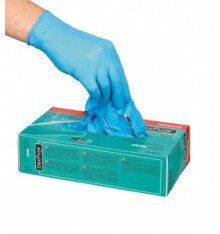 | Out performs natural rubber, neoprene and vinyl gloves when exposed to solvents, caustics and animal fats. | 18 length | 25 mil thickness | Sanitized interior | Sandpatch grip | Straight cuff | Curved shaped hand provides a natural fit. | Applications: aerospace and automotive degreasing, automotive assembling and painting, chemical handling and processing, food processing, graphic arts and print shop cleanup"